Goldman Sachs will apparently be canceling their annual Christmas party for the second straight year, according to multiple news outlets. The reason? The company wants to keep a low profile, and doesn't want to seen as flaunting their riches while the rest of the planet continues to struggle with a poor economy. 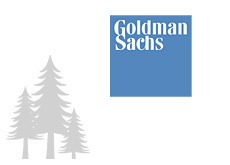 This is the second straight year that Goldman Sachs is canceling their annual Christmas party. Last year, Goldman Sachs canceled their party due to the economic collapse and resulting turmoil in the financial industry. The company was taking it on the chin, and employees of the company likely didn't feel like celebrating too much. This year is different. Goldman Sachs has rebounded strongly in 2009, and is set to pay out a fortune in bonuses and other forms of employee compensation. Goldman Sachs has paid back their TARP funds, which means that they can lavish as much bonus money as they want on their employees without fear of reprisal from the government. 2009 has been an absolute disaster for Goldman Sachs when it comes to their standing in the eyes of the public. An overwhelming percentage of the American public feels that Goldman Sachs is an exceedingly greedy company that has contributed greatly to the decay of the American economy. The last thing that Goldman Sachs wants right now is images leaking to the public of a lavish Christmas celebration, especially in this era of 10%+ unemployment. This is why the company has reportedly canceled their Christmas party for the second straight year. The company, according to multiple sources, has also taken the additional step of forbidding their employees from throwing their own holiday parties. Goldman Sachs is reportedly set to pay out nearly $22 billion dollars in total employee compensation in 2009, up sharply from the year before. Given that many Americans are currently struggling to find work and make ends meet, Goldman isn't exactly a darling in the eyes of the American public. Many Americans see Goldman Sachs as everything that is currently wrong with the economy (and the world, for that matter). It will be interesting to see when Goldman Sachs feels as though the furor has died down enough to throw their Christmas party once again..